A University of Maryland (UMD) Aerospace Engineering team placed second at the NASA BIG Ideas Competition that was held at NASA Langley February 15-16. The engineering design competition engages the university community in driving innovation and developing unique solutions to NASA technology focus areas. This year, university teams were asked to come up with concepts for constructing a solar electric propulsion (SEP)-powered space tug using autonomous robotic assembly. The tug would need to transfer payloads from low-Earth orbit to a lunar orbit. Out of 29 original submissions for the competition, two University of Maryland teams were selected to compete. During the event, teams presented their final concepts to a panel of NASA experts. 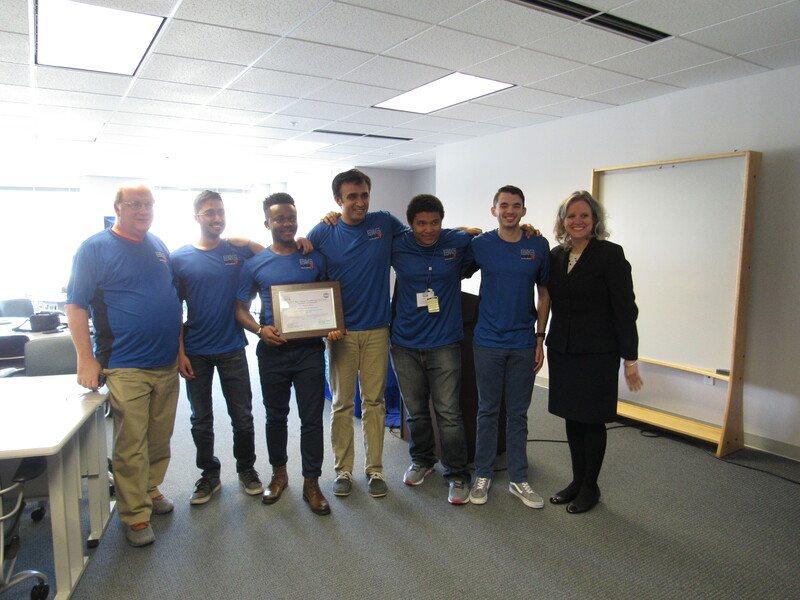 From left to right, faculty advisor Akin, team members Shaheer Khan, Hermann Kaptui Sipowa, Rounak Mukhopadyay, Leandre Jones, Ryan Ernandis, and Mary Beth Wusk (NASA LaRC). All students on the SMo-FLaKE team are seniors in the Department of Aerospace Engineering's ENAE 483/484, Principles of Space Systems Design course. Other schools competing in this year's event included the University of Colorado, Tulane University, Georgia Tech, University of Texas (Austin) and New York University. 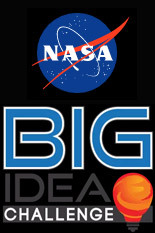 The Breakthrough, Innovative and Game-changing (BIG) Idea challenge is an initiative sponsored by the Game Changing Development Program in NASA’s Space Technology Mission Directorate and managed by the National Institute of Aerospace.